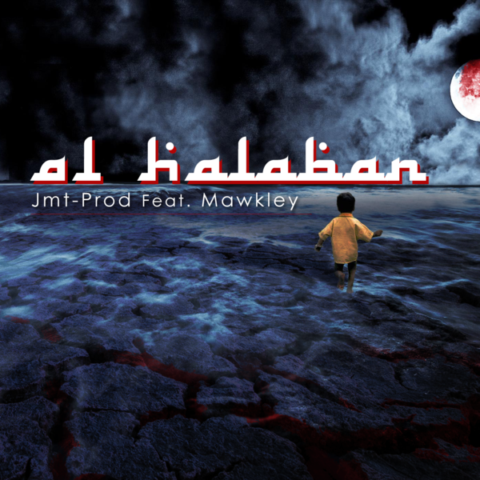 "AL HALABAN, is the encounter of a Moroccan rapper Mawkley and a French Sound Maker Jmt-Prod the title is pronounced Oriental melodies and melancholy that perfectly illustrates the words of Mawkley. Without understanding, one senses the dramatic universe that is described." His first Opus «H.H.J. JAPAN» with featuring the American rapper «Finesse», taken out in November, 2016 and distributed by SPINNUP. A his Japanese sounds loan that allows him to reconnect with the world of hip-hop. Then it comes out shortly after the sound «SLAVERY» that some take for a soundtrack to film all this is due to a very particular sound design with a charley replaced by chains, hence the title of «Slavery», an instrumental protest that will soon come to life with the help of a New York rapper. It is prized by many rappers from various countries, it is how he met among others, Mawkley Moroccan rapper and this meeting was born the title «Al Halaban» which can be translated as ‘No. Life Kid’, the story of a young boy, broke, living on the streets, who daily get of glue and is finished in alcohol at 90 ° to escape the horror of his condition. Very oriental sound design, supported by a strong text of sense and supported by illustrious dark music and translated perfectly what want to express Mawkley. Without understanding the Moroccan, one senses the dramatic universe is described. You can immerse yourself in the universe of JMT by visiting all platforms download online music: (Spotify, iTunes, GooglePlay, Deezer, Amazon, Napster, Tidal).Since beginning 2017, he released a production per month and is constantly looking for new rappers.